On Guy Fawkes day, Obama wins. Let the fireworks commence. And let’s hope he makes it through his presidency safely. The Americans do have an unnerving habit of killing their presidents. How many assassinated? 4 out of 44? and that’s not counting the attempt on Reagan. I do hope also that he’s not another Blair…full of promise, short on innovative policy. However, just the fact that he is half African-American means that his win is revolutionary. Looking at which states voted which way is like a replay of the American civil war. The South and the mid-West voted Republican/Confederate and the East and West coasts voted Democrat/Yankee. Does anybody else find it disturbing that the Republicans are represented by the colour red and the Democrats, blue? In Britain, the Right are blue and the Left are red. Perhaps the Democrats are linked to blue because the Yankee soldiers wore blue while the Confederates wore grey or butternut. According to this wikipedia link, this assignment of colours, blue for Democrats, red for Republicans, was only recent, in 2000, although I remember Nancy Reagan wearing ‘Reagan red’ in the ’80’s. It has been associated with left-wing politics since the French Revolution. The red flag became a symbol of communism as a result of its use by the Paris Commune of 1871. The flags of several communist states, including China, Vietnam, and the former Soviet Union, have red backgrounds. There is still debate about whether Obama is actually American which is an obligation to be eligible to run for the presidency. See here for the proof. Strange that for the first time both candidates were not born on the mainland of the USA (McCain was born in Panama, on an army base). But the way that Obama’s ‘Americanness’ is continually disputed seems related to his race. Does white America not see black Americans as properly American? BHO was born in Mombasa, silly, that's why he's not American. That and the fact that he wants to destroy the USA. I know there is much debate about the photocopied birth certificate on Annenberg's site factcheck.org. But there is also the announcement of his birth in the Hawaii paper. Unless all of these documents are completely forged, it seems a stretch to think that his parents knew he might be president 4 decades later, and suddenly moved to Hawaii from Kenya. But I do not understand why he doesn't allow his original birth certificate to be examined in the name of transparency. 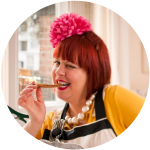 oh marmitelover you are a tolerant and warm lady. i wouldn't have been able to respond so positively if such a comment were left on my blog, my hat is off to you. i am still well in my obamoon, having been in obamania for about 18 months, but i do agree with your points. Mr Obama's win has caused a boost to the economy and he does comne across as genuine and honest… or maybe that's just how we're meant to see him. What he does do is give the US Government a much-need image change. It's not an exaggeration to say it's been rebranded! McCain is seen as a right-wing hawk like Bush etc (although he's not really. McCain was an opponent of Guantanamo bay. He is a survivor of torture himself, having been starved an beaten as a POW in Vietnam.) More war and conquest would not work if McCain was president. This is dangerous though because it means the public will be more likely to tolerate a continuation of the Bush regime's policies under Obama, just like they tolerated an acelleration of the UK's health reforms under Labour. "It's OK, though. We've got a NEW government now!" goes out the cry. good points ben, i'll be waiting'n'watching…. i celebrated it here in england's crackling cold north. there were fireworks, sparklers, champagne, hope and joy. the dark stuff that's good for you made me laugh – it should be iobama's new slogan! We want a system where merit replaces considerations against colour, gender, sexuality, age, weight, ability/disability or marital status. Obama got this on merit. BO's not half african-american, he IS an african-american. since his parents were white and black, he's a mulatto. never mind what his racial make-up is, people are projecting their hopes onto him. he's an impressive speaker, charismatic, intelligent, but his victory depended on playing the race card in a climate of uncertainty, patriotism, and economic woes – what could possibly go wrong? You are absolutely right Anonymous, I kept meaning to change that. (I wrote it at 5 a.m.) He embodies African -American because his dad was African and his mum was American. Perhaps the 'race card' helped him but if he had not been impressive in other ways then it could have been a negative. He turned all of his qualities into assets. i'm not sure quite how obama "used the race card".